Auto Windscreens expects to save a whopping 8.3 million litres of water and around £80k a year by ditching the traditional carwash in favour of Eco Touch’s Waterless Car Wash to keep its fleet looking pristine. The interior of your car brings comfort during your ride especially if you use leather cleaners, carpet shampoos and more car cleaning products. Estimated based on 400 litres of water being used per weekly wash per vehicle. 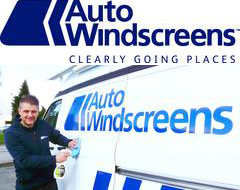 Auto Windscreens is owned by Trifords Limited, part of the Markerstudy Group of Companies. It is a leading automotive glazing company, serving customers throughout the UK and across all sectors from managed fleet to insurance. With a nationwide network, Auto Windscreens is an expert in windscreen repair and windscreen replacement. The company head office and dedicated contact centre is based in Chesterfield.